Who is Nathan Gwilliam and How Has He Changed Adoption? Adoption as we know it today is not how adoption has always been. It is perhaps as old an institution as mankind itself, and its beginnings were far more informal and utilitarian than what we know now. Today, the actual adoption process isn’t too different from how it’s been for the past 150 years or so, at least from a legal standpoint. But some of the details are different. Now expectant and birth parents often have the ability to choose the family they want to place their child with. They can also choose between open and closed adoptions. The relatively recent rise of the internet and digital media has made programs and services available to facilitate the process even more. Adoption.com, founded by Nathan Gwilliam, is one such tool that’s poised to change the way people participate in adoption. After his first year of college, Gwilliam volunteered for almost two years as a missionary in Brazil. While there, he quickly grew to love the children he met on the streets, and he vowed to help them in a significant and meaningful way when he returned to the United States. When he went back to college at Brigham Young University, he didn’t forget those children or his vow. His thesis for the honors program was a business plan centered on using the internet to further the adoption cause. That plan went on to win competitions, and Gwilliam ended up launching Adoption.com from his college lab. The site now serves hundreds of thousands of people around the world. Not only that, but it resulted in the creation of a whole family of websites, including Adoption.org, Adopting.org, and AdoptionGifts.com—all created to help touch as many lives as possible through adoption. Adoption.com is for everyone. It offers services to help people find adoption professionals in their area and provides a wealth of information about adoption, reunion, foster care, and parenting to make whatever they need to do as painless as possible. One of the most defining features of Adoption.com is Parent Profiles, which allows hopeful adoptive parents to post individualized portfolios. This database is incredibly useful to expectant parents and birth parents wanting to place their child for adoption; it helps them choose the best possible family for their child. What Nathan Gwilliam aimed for Adoption.com to be is exactly what it is: a community. It makes it easy to connect with other people involved in adoption. It connects birth parents and pregnant mothers to families who want to adopt. It connects adoptees to their birth parents. It connects all members of the adoption triad to professionals and peers who can help them. 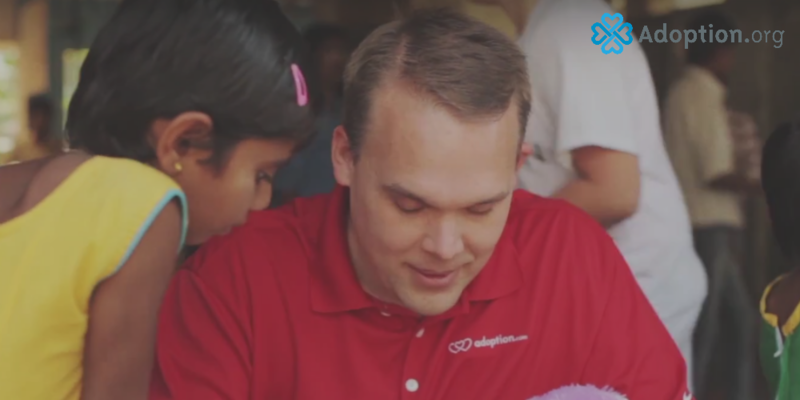 No matter what your involvement is in adoption, Adoption.com is the place to start.